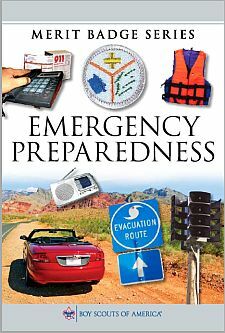 Make a chart that demonstrates your understanding of each of the aspects of emergency preparedness in requirement 2a (prepare, respond, recover, prevent, and mitigate) with regard to 10 of the situations listed below. You must use situations 1, 2, 3, 4, and 5 below in boldface but you may choose any other five listed here for a total of 10 situations. Discuss this chart with your counselor. Using a chart, graph, spreadsheet, or another method approved by your counselor, demonstrate your understanding of each aspect of emergency preparedness listed in requirement 2a (prevention, protection, mitigation, response, and recovery) for 10 emergency situations from the list below. You must use the first five situations listed below in boldface, plus any other five of your choice. Discuss your findings with your counselor. Find out who is your community's emergency management director and learn what this person does to prepare for, respond to, recover from,prevent, and mitigate prevent, protect, mitigate, respond to, and recover from emergency situations in your community. Discuss this information with your counselor and apply what you discover to the chart you created for , utilizing the information you learned from requirement 2b.